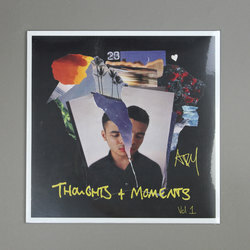 Ady Suleiman - Thoughts & Moments Vol. 1 Mixtape. Vinyl LP. Bleep. 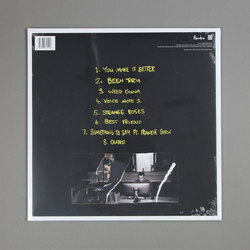 Ady Suleiman’s new mixtape Thoughts & Moments Vol. 1 is intended to tide over fans hungry for the follow-up to 2018’s debut LP Memories. Mind you, if this is the calibre of material that Suleiman is keeping away from his next full-length then it’s going to be some second album. This is a set of glorious contemporary soul tunes that draw from hip-hop, Afrobeats and dancehall. The influence of Frank Ocean is strong on Thoughts & Moments Vol. 1.